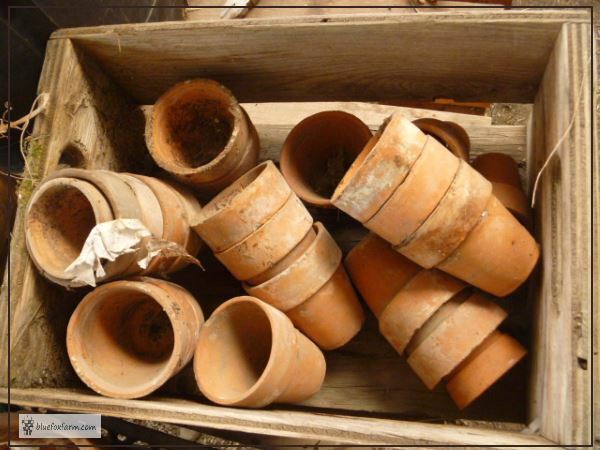 There is something about old terracotta clay pots. 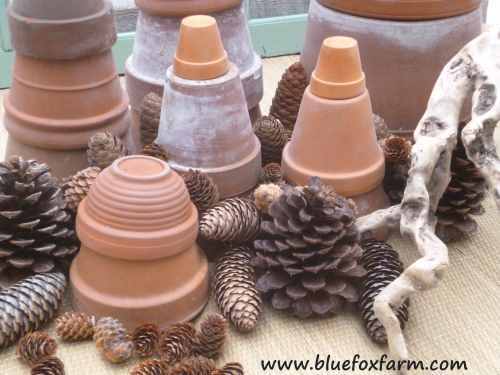 Is it the color, or the fact that they can be used for all kinds of rustic garden art? Long before they became popular again, I started collecting them. Look at them closely and see if you can pick out the best ones. Sometimes they even have a stamp that says 'Made In Italy'. The older ones, vintage types, are hard to find because like all things that are made of a brittle, easily broken material, they shatter with the weight of old age. Treat them gently, with respect. They are fun to stack and make into towers as a display. 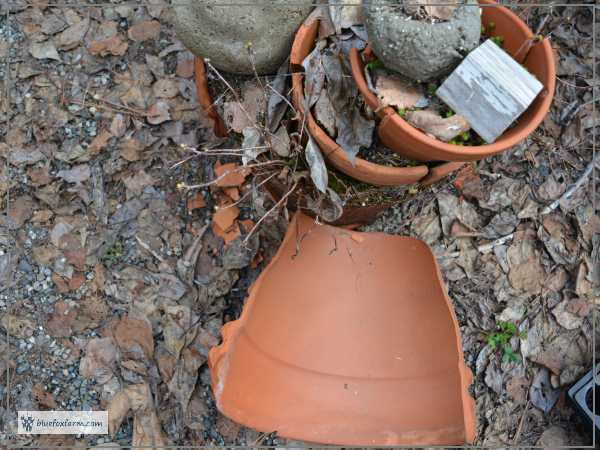 Some are made without a drain hole, so if you're planning on planting something in one, use a masonry bit to make a way for excess water to drain out, or devise a way to use them for a cache pot, or the top of a tower. My collection seems to keep growing, because people don't appreciate these pots for the benefits. 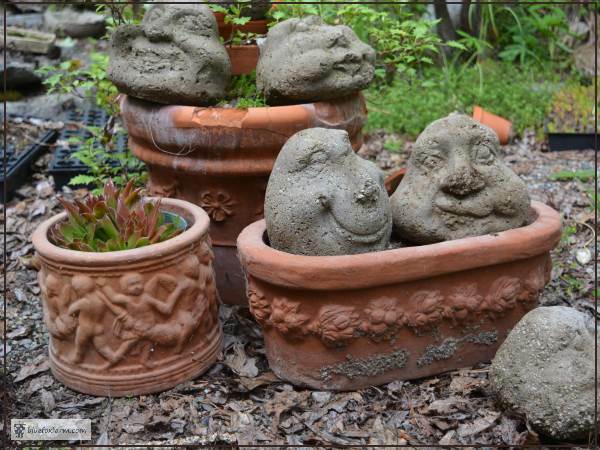 I use them for growing succulents in, or to plant with ivy, which seem to like the conditions of good drainage and air movement through the porous sides. They take a bit of trialing to find the right amount of moisture for the plants, sometimes requiring a tray of pebbles to keep the air humid enough for some plants. Failing that, when the plants don't like them, use them for all kinds of crafts. 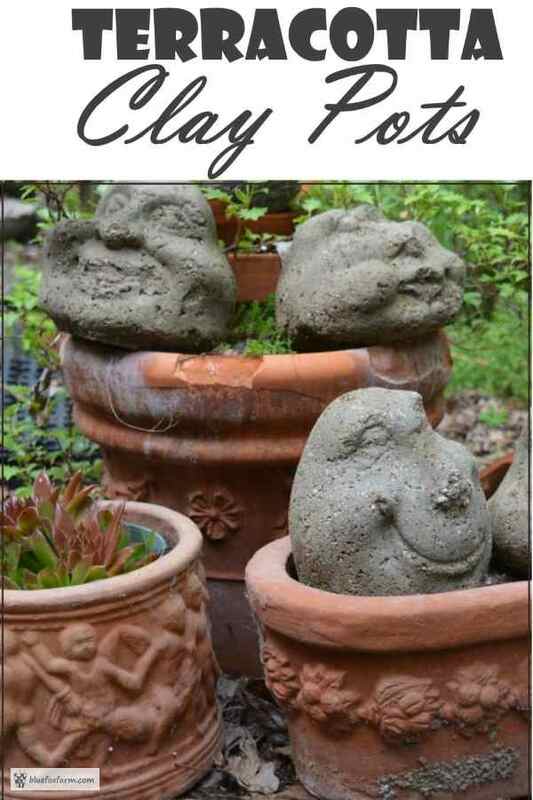 Fairy gardens, statues made by stacking the different sizes to make a figure, or as wind chimes are all great ways to utilize these great little pots. 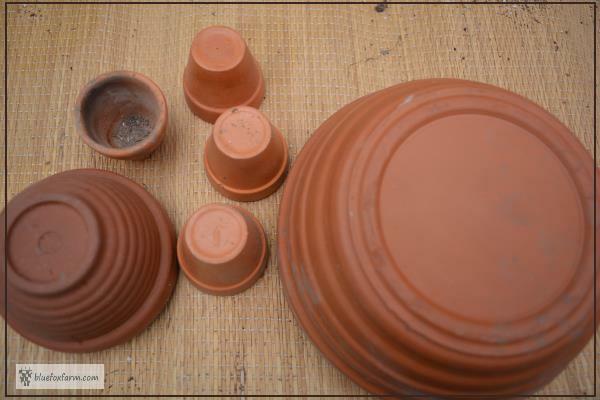 The clay used for making these pots is not very strong, and won't stand up to knocks, or to frost. Here's one of my favorites, broken almost entirely in half. I'll have to find a way to salvage something out of it - and it won't just be gluing it back together. If you spot some of these in a box under a bench of a greenhouse, or neglected at a yard sale, be sure to grab them. They will always be different in color, because of the origin of the clay they're made from, and they're all different sizes. That's what makes them so unique and collectible.